Two major changes are coming for Stade Reinnais supporters in the 2015/16 season. Already now complete replacement of nearly 30,000 seats at Stade de la Route de Lorient is ongoing. Previous blue-green layout will be changed for a more uniform red one. 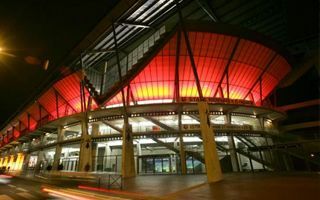 Also more associated with actual team colours as the stadium is already illuminated with red light. The other alteration will see a new name given to the stadium. So far it’s been called according to its location along the road to Lorient. Now a name more in touch with club identity will be introduced. Online vote was launched on Friday and will last until June 9. On June 11 Stade Rennais should announce the most popular name.